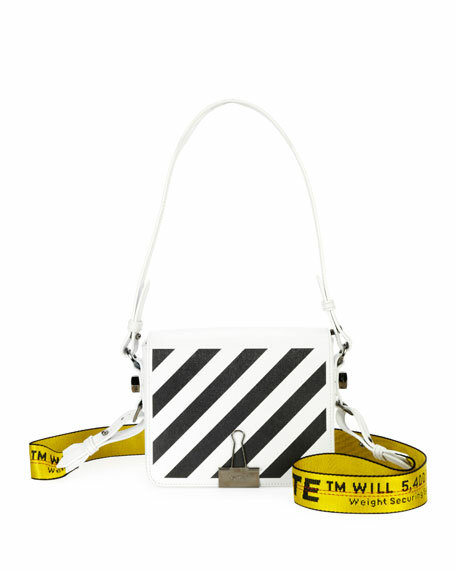 Off-White crossbody bag in signature diagonal-print leather. Flat top handle with cutout shoulder pad. 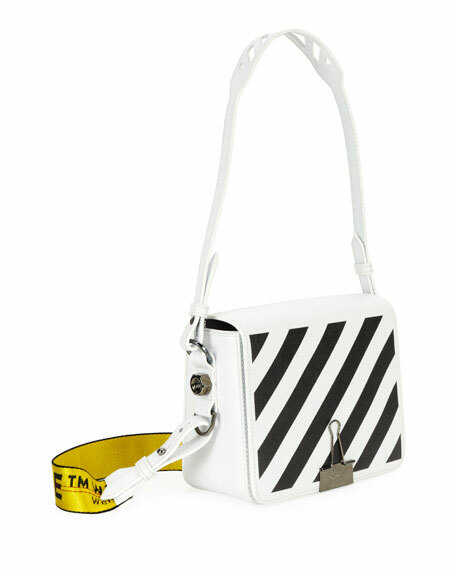 Detachable logo shoulder strap, 56"L.
Flap top; binder clip attached at front. 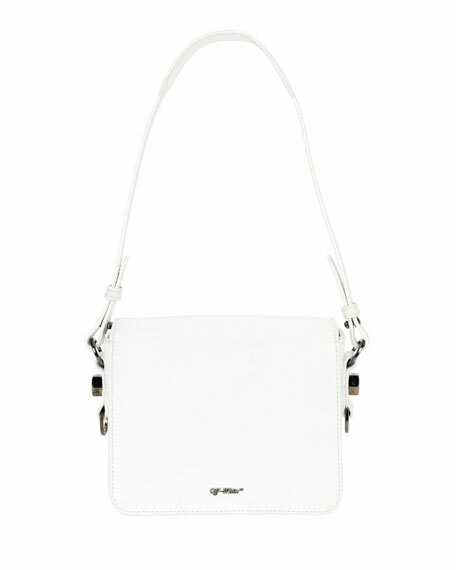 Contrast interior; one slip pocket. For in-store inquiries, use sku #2582434.